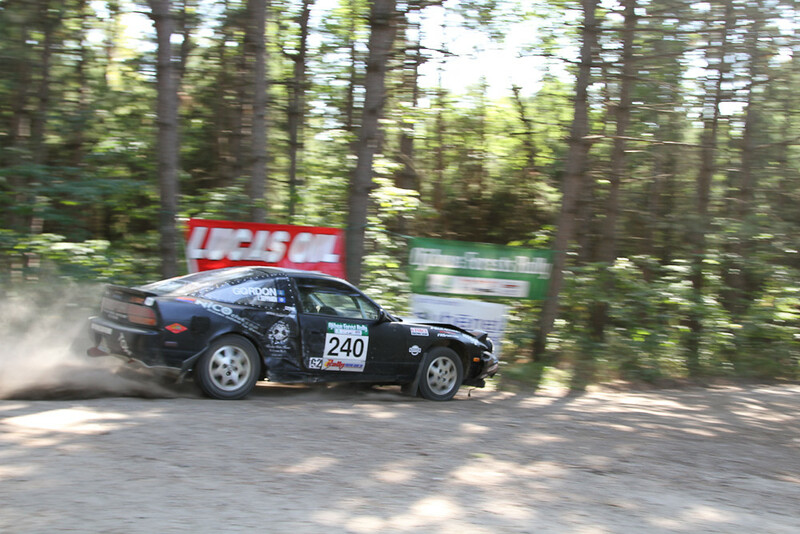 The 2012 Ojibwe Forests Rally was the fifth event on our calendar and was the 30th anniversary of the rally. The rally was held in Detroit lakes, a few hour drive north-west of Minneapolis MN. It is a great summer event, held on the last weekend of August. It typically has great weather with moderate temperatures but can be dusty if the weather has been dry. All things were looking up for us coming into this rally. 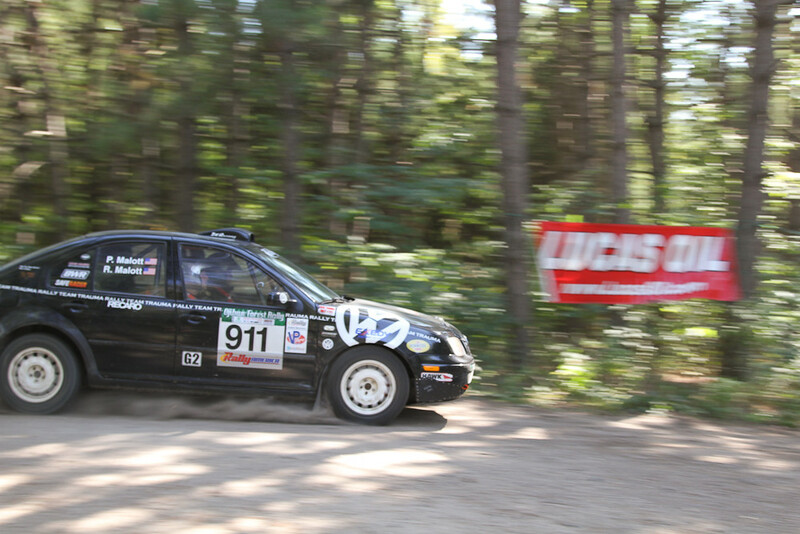 In our previous rally, we won both of the C1 regional rallies at Nemadji Trail and all of our competitors entered for Ojibwe were either historically behind or even with our speed. Mark and I left to Minnesota early on Thursday, August 23, around 5:30 in the morning. We wanted to make it to Minneapolis before the evening rush hour traffic and get into Detroit Lakes by 6:00pm to have dinner before registration and tech. The drive up was mostly uneventful, as Mark and I switched back and forth taking turns driving. We made really good time and pulled into the hotel parking lot ahead of schedule that evening. 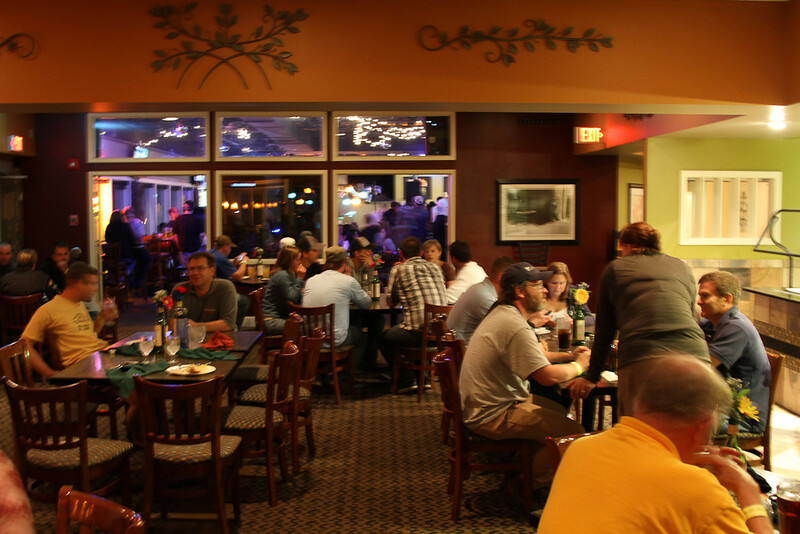 We quickly grabbed a drink and bite to eat at the hotel restaurant, while enjoying the beautiful view of the lake. 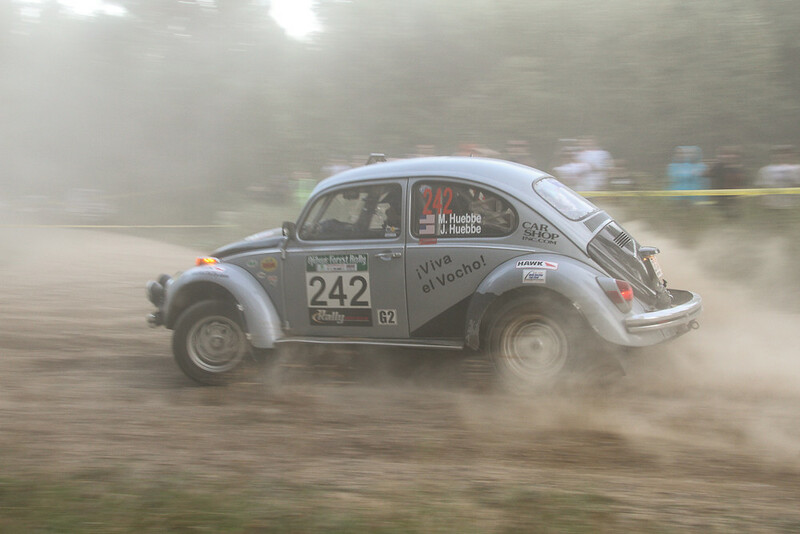 Competitor registration and technical inspection started at 7:00pm and we had the bug ready to go. Competitor registration was going slow so we decided to go through tech first and let the registration line die down. Tech went ok except for finding that our brake lights were not working and the windshield washer fluid was not spraying out. The power wire to the windshield washer was simply loose so we quickly fixed that, but the brake lights turned out to be harder to solve. After getting out my multimeter I founded that the pressure switch on the master cylinder was not working. I guess 5+ years of abuse finally took it’s toll on it. The fix for the car was to wire up a switch directly to the brake lights since we didn’t have a spare pressure switch. Since it took a long time to go through tech, fix the car, and then go back through tech, we missed competitor registration that evening. After putting the car away we decided to grab a beer from the restaurant and relax for the rest of the evening. Saturday morning arrived for us at 8:00am, not too early for a rally weekend, since the rally starts later in the day. We started off getting breakfast at McDonalds and going through registration to get all of the paperwork taken care of. Mark and our service guy, Ben Wedge, got to work on the car, cleaning things up and installing cameras, while I went through the stage notes. The morning went by fast and Parc Expose was upon us at Noon. Lots of friends were at the rally and plenty of St. Louis teams were in attendance. Our 2 main rivals for two wheel drive were Ian Seppanen & Christopher Gordon, in their 1991 Nissan 240SX and Ron Malott & Paul Malott, in their 2001 VW Jetta vr6. Both have been around our speed and we knew we’d have to go out and start the rally fast, in order to have a chance at taking first place. By 1:45pm we were leaving for the forest and on our way to stage 1. The weather forecasters was predicting rain in the morning but only sprinkles fell for just a few minutes, so dry conditions were going to be a problem. Stage 1 was a very fast stage (the fastest of the rally) with lots of long straights, jumps, long crests, and fast turns. There were only a few slower turns throughout this 6.8 mile long stage. 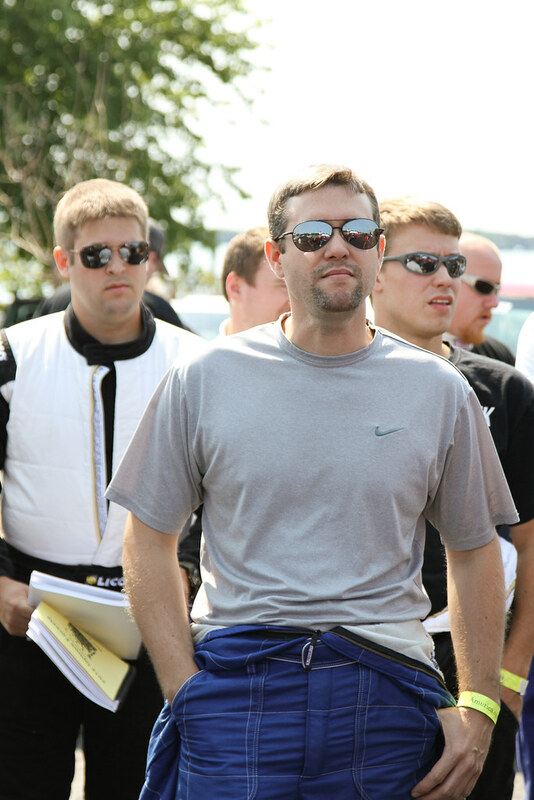 Our goal was to drive as fast as possible and not start out slow, as we’ve done in the past. 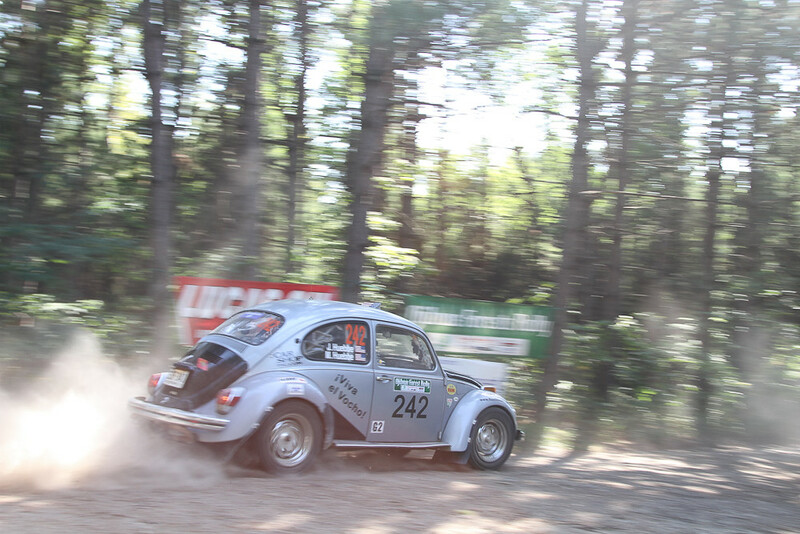 It worked very well for us and by the finish we found ourselves in first place in group 2 and fifth place overall, but only 3 second ahead if Ian Seppanen and 13.2 ahead of Ron Malott. After stage 1 we had a short transit to a remote refuel depot then off to stage 2. Going into stage 2 we knew we were faster than Ian and Paul and all we needed to do was keep our current pace to stay in first place. About mid-way into the stage we started to notice more and more dust hanging in the air, so we knew we were catching Ian who was ahead of us. Not knowing at the time, we thought he was just going slow but later learned that he ran off the road and damaged his car. Finally with less than a few miles to go we catch him and are able to pass him up and run in clear air. 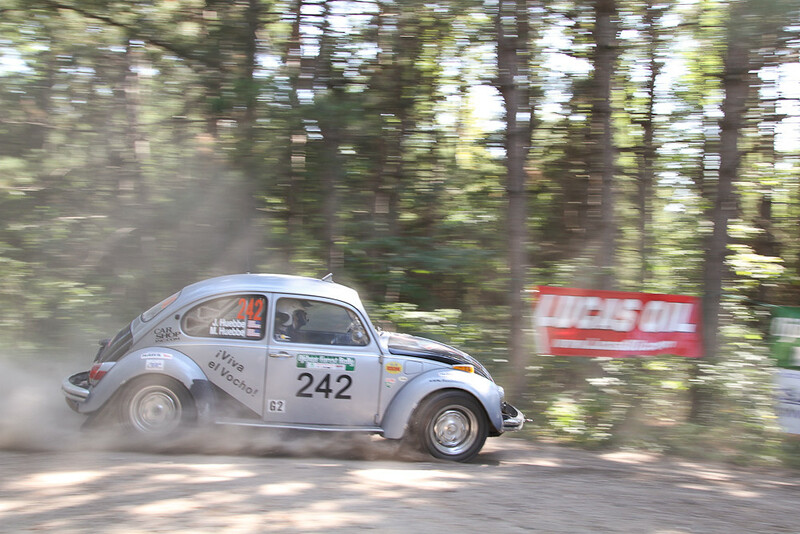 Our stage time is slow and we finish in second place, 6.4 seconds behind Paul. After stage 2 we only have a few minutes to transit over to stage 3. As we pull out of the FTC we notice that the car doesn’t sound normal. We decide to stop and take a look at the car to see if anything is damaged. As Mark starts to look over the car he notices that the right side exhaust manifold has cracked and is pouring out hot exhaust gases onto the CV boot and oil line. Not good. We take the wheel off and start to investigate to see if we can make a temporary repair. I look through our spare tool kit while Mark tears off the fiberglass exhaust wrap. After 10 minutes have passed we get the full view of the problem and find out that the pipe has cracked 100% in half. A temporary repair is not possible. We decide that we will put a hose clamp around the pipe to try and hold the crack together and limp back to service to make a repair. Our hope is that we can weld the exhaust together and that the organizers will lets us reenter to run for fun. After pulling into service we jack the car up, remove the exhaust manifold pipes, and a service crew next to us lends their welder and generator to us to make the repair. In less than 30 minutes we have the car put back together and ready to race. The first stage out of service is Waptus, 11.91 miles long and full of tight and technical turns. We end up setting a good stage time, finishing in 1st place in group 2 and 4th place overall with a time of 16:01.8 Our only problem came at at 9:20 into the video where Mark enters a right hand turn a bit too fast and we go off of the road and onto a dirt bank. The rally ends with stage 12, a reverse running of the fast first stage. Our stage time isn’t as good as stage 1, but it was run in the dark. 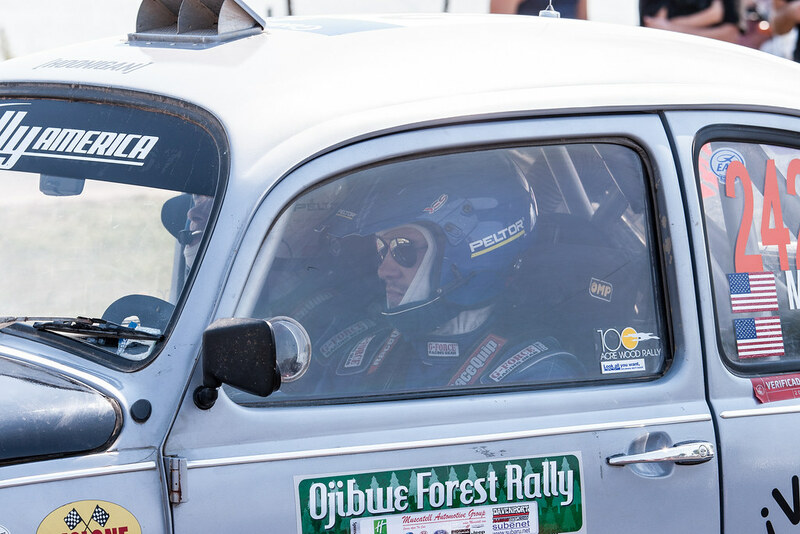 Ojibwe was a disappointment to us since our car broke and forced us to DNF, but we did end up setting very good stage times and had a lot of fun. 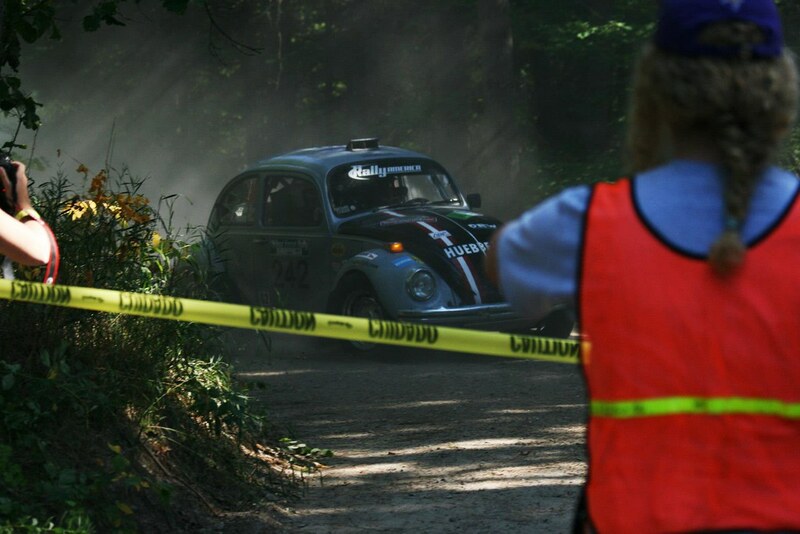 Our next rally will be in October at the Perryville Farm & Forest Rally.